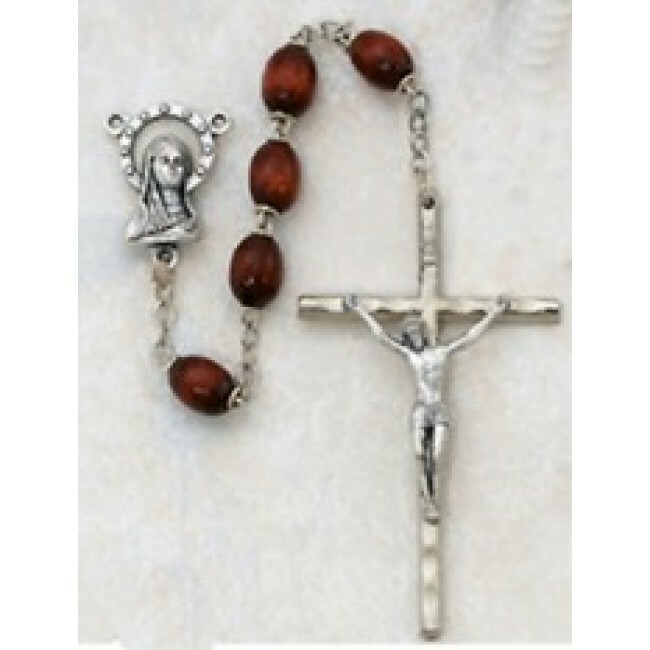 The Brown Wood Rosary with a metal crucifix is a great choice for everyday use. The rosary includes large brown wood beads that are reinforced at each end for added strength. The beads are all shaped similarly and are polished to a soft finish, but because of the natural wood grain, no two beads are exactly alike. The wood and finish used give the beads a warm brown color. A large metal crucifix and Blessed Mother with halo centerpiece complete the design.